Today we remember. We remember those who have sacrificed, those who took risks, those who went to war for us who remained at home. We owe the men and women who have served in our country’s military forces a debt of gratitude, a debt that we have not always paid. Today we attempt repay those who were brave enough to fight for our freedoms. Today is Veteran’s Day. This year Veteran’s Day started early. The local library had an exhibit commemorating the 50th anniversary of our nation’s involvement in Vietnam. The library has a history room and a glass showcase where historical displays on a variety of local topics are displayed: Connecticut’s involvement in the Civil War, Lincoln, and the Farmington Canal. Occasionally the exhibit continues in the history room itself. The exhibit on the Vietnam War attracted more visitors during my weekday morning shift than any of the others. Most of the visitors were silent, a few wanted more information, all were reverent. The Vietnam Veteran’s exhibit was different in that it was not put together by members of the local historical society. Instead it was the work of the local Veterans of Foreign War (VFW) Post. The exhibit included firsthand accounts of each vet’s experiences, uniforms, dog tags, even rocks collected by a vet who was a Seabee. 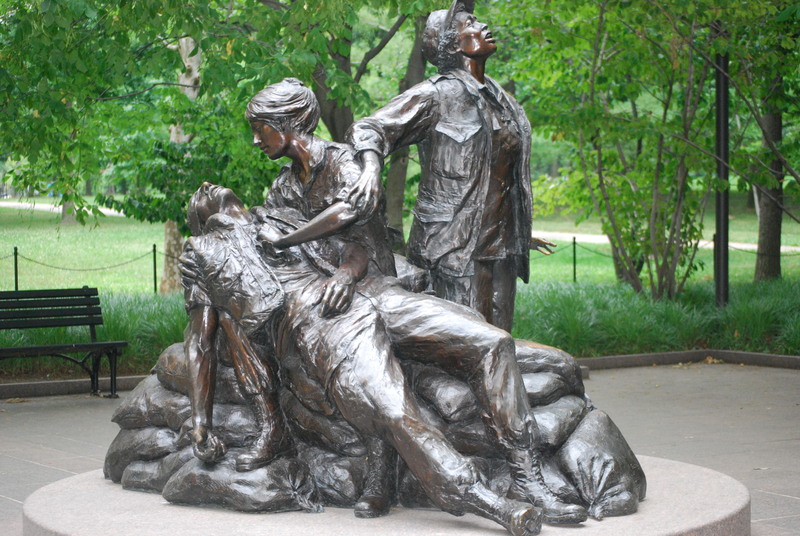 A map of Vietnam and the surrounding area showed the position of each vet’s service. Around the history room were mounted display boards on different aspects of service in Vietnam. The topics ranged from Tet to the Vietnamese people to gun trucks. There was even one on encountering a tiger. Some of the boards were painful. The one I had the hardest time reading, the one many people skipped, was the one on the treatment of the veterans upon their return to the United States. 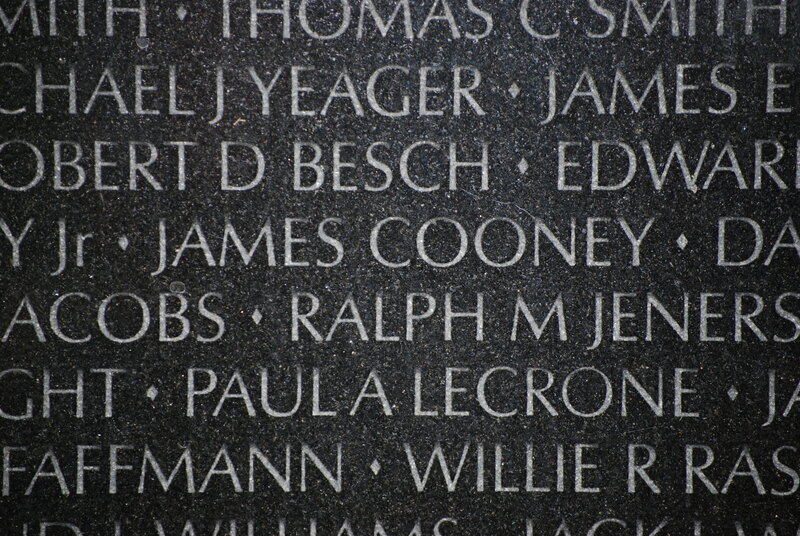 This is a part of the Vietnam War that many of us would like to forget. And yet reading that board brought back memories of those young men who went to serve from the small southern California town where I lived most of the war. Some were volunteers, joining the Marines or following their fathers into the Navy or Air Force (both of which had bases in the area). Others were drafted. But they were all treated the same upon their return. Their families welcomed them quietly; they kept their service to themselves, lest strangers mock and vilify them. For some of us, protest against the war, against the draft, turned into protest against those who served. So we failed to thank those who went to war because we did not support the war. As a society, we failed these vets. Today was originally a holiday to remember the war to end all wars. Now we remember all of our veterans, the brave men and women who took up the torch of freedom when duty called. Take a moment to read the poem, “In Flanders Fields” (http://www.arlingtoncemetery.net/flanders.htm) and remember all those who lie in foreign lands or in cemeteries here. Celebrate the veterans of World War II, Korea, Vietnam, the Gulf War and the wars today in Iran and Afghanistan. And if you have never done so, thank a Vietnam vet for his service to our country. 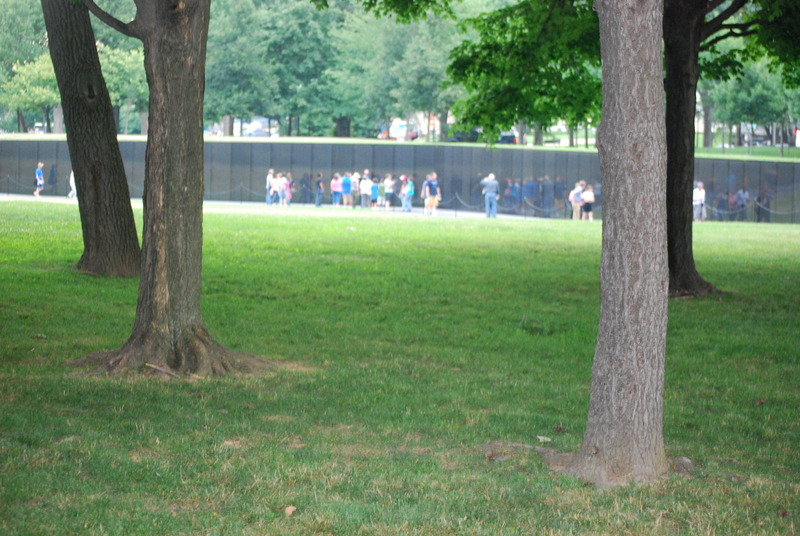 This entry was posted in community, life, Uncategorized, Veteran's Day and tagged gratitude, Veteran's Day, Vietnam. Bookmark the permalink.